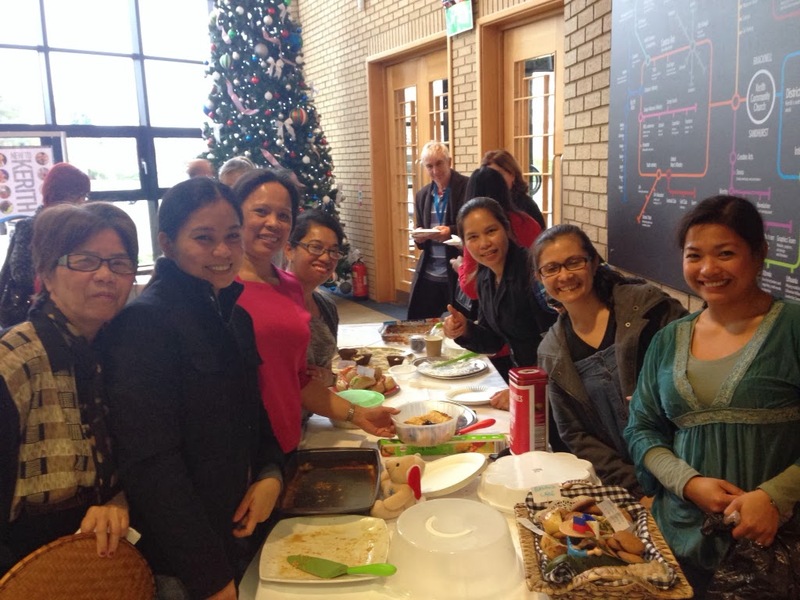 Anyone who was at the 9 or 11 in Bracknell last Sunday will have seen members of our Filipino community selling an amazing array of cakes to support relatives affected by the typhoon. Afterwards I got an email from Marizel, who organised it all, which I wanted to share with you. Thank you to everyone who bought cakes. Let's keep praying for all those in the Philippines who continue to be impacted by the devastation there. Yesterday's cake sale was a success! On behalf of my friends, I'd like to thank you, the church team and all the members. Some of us suggested that we could do it again in the future but for a project which is currently promoted by the church (e.g for social justice, etc). Gwen Fagan and Aida Attwell are our church members whose relatives are badly affected. I quote from Gwen as her sister recollects the scene from the super typhoon that as everything was flying around, all they could hear is the howling of the wind. Their roof went first then they hid under their dining table. Few minutes later, their house walls collapsed. Thankfully, no one got hurt. Although since everything was torn into pieces they then transferred to the pig sty where they took shelter even days after the typhoon. Now thru our fundraising activities, we were able to feed 110 families in Sigma, Capiz (Gwen's sister's place) as well as provided temporary roof on around 5 families. We were also able to provide food and water for 35 families in Pototan, Iloilo and 50 families in Tacloban. Some of the funds also went to a Science High School which was sheltering a lot of Tacloban victims. It is amazing how God shows His compassion to His people. We were overwhelmed by warm comments and generous donations and you don't know how much those we've reached out to appreciate all the aid from here.